But how on earth do you account for ‘magic’? Is there a currency? What about the elves? In the 2007 film Fred Claus, Vince Vaughn plays the lead role as Santa Claus’s brother, visiting Santa’s workshop at the North Pole and ultimately saving Christmas. While Vince Vaughn is in truth playing a role that will be familiar to anyone who has seen any other Vince Vaughn film, the bad guy called Clyde is a much more interesting character. Clyde is portrayed in the film as a corporate accountant but anyone that can be both dismal in so many different ways and obsessed with efficiency could really only be an economist. Clyde wants to shut down Santa’s grotto, which would likely have a devastating effect on the economy of the North Pole. The grotto surely accounts for a larger share of domestic production than, say, Nokia in neighbouring Finland? Or even Aramco in Saudi Arabia? Fortunately, in the real world Clyde would have some constraints on his actions, as such a major policy decision would obviously be subject to a formal impact assessment and not depend on the views of one person. What would we need to add the North Pole as a new region to the E3ME model? The most obvious issue is a complete lack of data to estimate a Social Accounting Matrix. However, if the grotto was confronted by a real-life Clyde, we might find that data suddenly becoming available, albeit perhaps not full time series. So a lack of data would not necessarily be a major obstacle. But there would certainly be other challenges. For example, there is no record of the North Pole using currency of any description. Anecdotal evidence suggests it is a type of modern barter economy, with the elves supplying labour inputs in return for food and lodgings. All of the transactions would need to have some from of value attached to them, most likely proxied from a neighbouring country, and converted to US dollars. The issue does not seem insurmountable. Modelling trade could be more tricky. A model would want to track the real flows of exports of toys around the world but there is no financial flow in the opposite direction. Other countries might class such activity as foreign aid but we may need to invent a new category for modelling. Most perplexing, however, is the complete lack of imports to the North Pole, which we should be able to discern from other countries’ export data. The grotto clearly does not believe in international supply chains and either has a lot more heavy industry than generally thought or has an entirely different production process to the rest of the world. Many economists might take issue with a new category, ‘magic’ being added to gross value added. Ecological economists would also be right to question whether there is a finite stock of such magic or if it can be replenished each year at an ever increasing rate. …and what about the elves? In comparison, the labour market seems more straight forward, with one strong caveat: there is no international agreement on whether elves should be counted in the same way as humans. At present elves probably sit somewhere between humans and robots but this is a gap that gets smaller every year. Expect human rights lawyers to have a say on this matter. 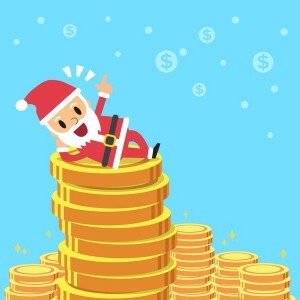 In summary, modelling the North Pole’s economy would have its own unique challenges but we are ready to jump in if necessary and expand E3ME. Not yet though, this year there is no real-life Clyde and his planned South Pole venture anyway now looks difficult with recent conservation agreements in Antarctica. And even economists deserve a holiday sometimes, best wishes for the festive season!